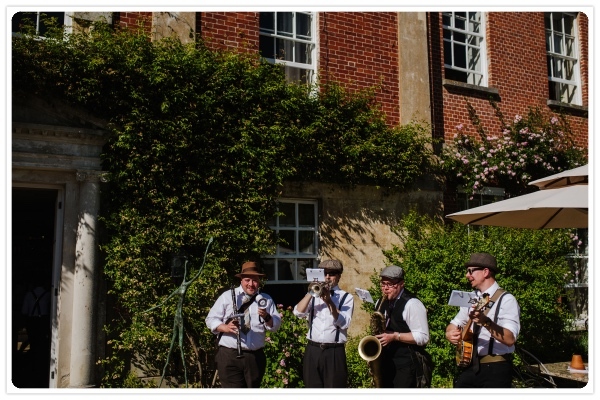 The Tin Pan Allies are a strolling vaudeville band providing acoustic jazzy entertainment for your festival, wedding, garden party or event to swing to! 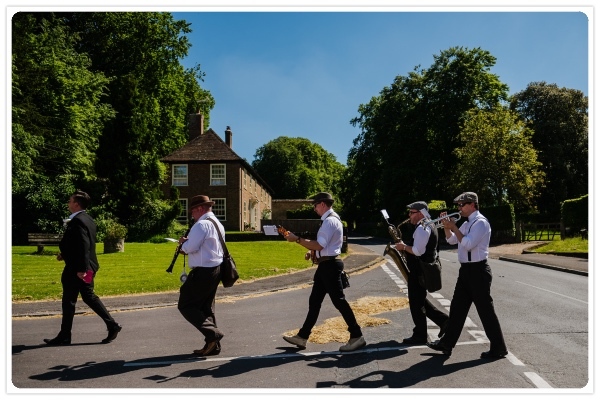 Led by Nick 'Spats', the Tin Pan Allies are perfectly suited to garden parties, fetes, and festivals, as well as corporate functions, pre-dinner drinks receptions, and other events, indoors or outdoors. With no requirements for amplification, the Tin Pan Allies don't need PAT testing certificates or an 8' x 12' stage, or even a three-pin socket! 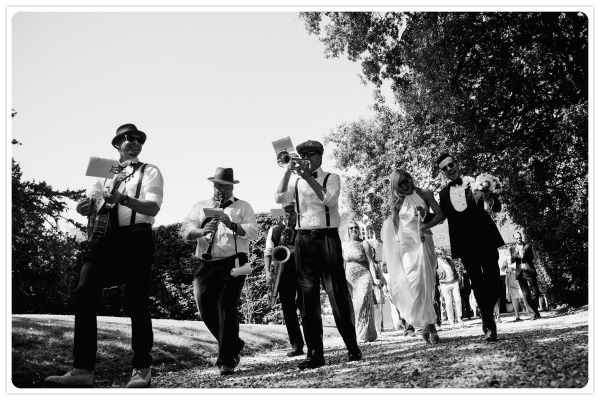 We can play directly to your guests or delegates, and move around the venue as necessary to entertain and delight. We play a range of popular music from the last 100 years or so, including tunes by Fats Waller, Britney Spears, Tom Jones, The Monkees, Pharrell Williams, Oasis, Lady GaGa and Bruce Springsteen - with a jazzy feel of course. Requests for that must-have special first dance can be accommodated too - please ask Nick. "Tin Pan Allies are a band with a huge personality. 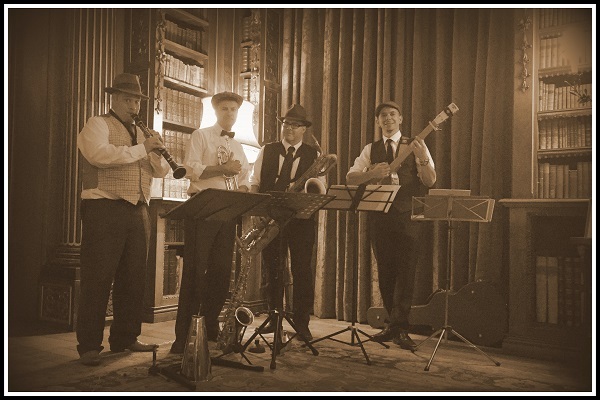 Performing for us at a VIP event at Highclere Castle, they even impressed Lady Carnarvon! Their passion for playing is infectious. They put the swing into our event: absolutely brilliant." 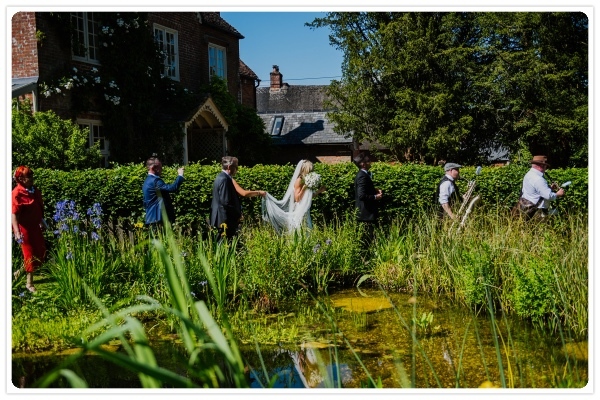 Please note - some of these photos (the good ones) were taken by Jonny Barratt; click here for an excellent photographer. all content is copyright © 2014 The Tin Pan Allies Band.